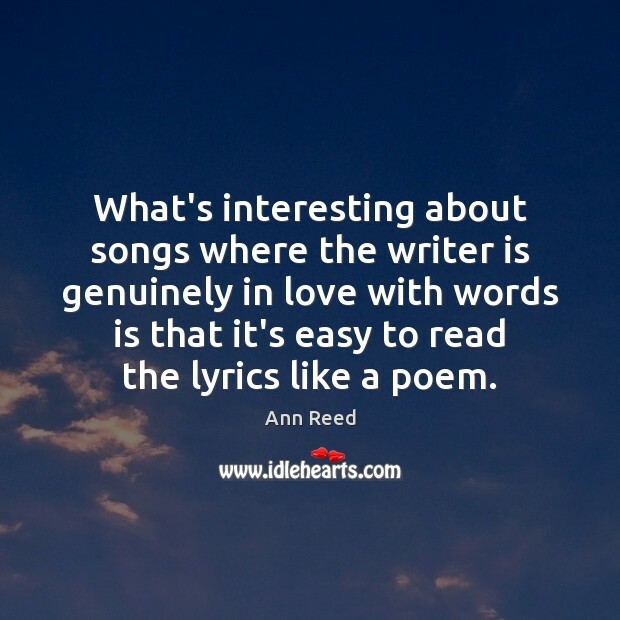 Enjoy the best inspirational, motivational, positive, funny and famous quotes by Ann Reed. Use words and picture quotations to push forward and inspire you keep going in life! 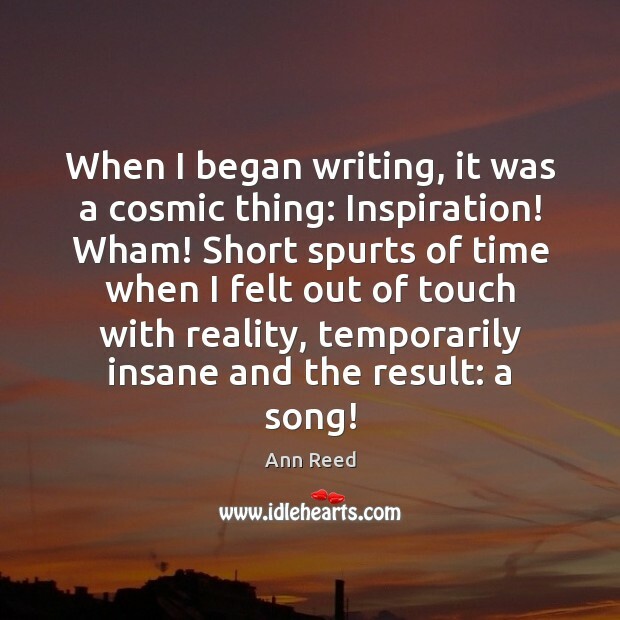 When I began writing, it was a cosmic thing: Inspiration! Wham! Short spurts of time when I felt out of touch with reality, temporarily insane and the result: a song! Writing a song isn't that hard. 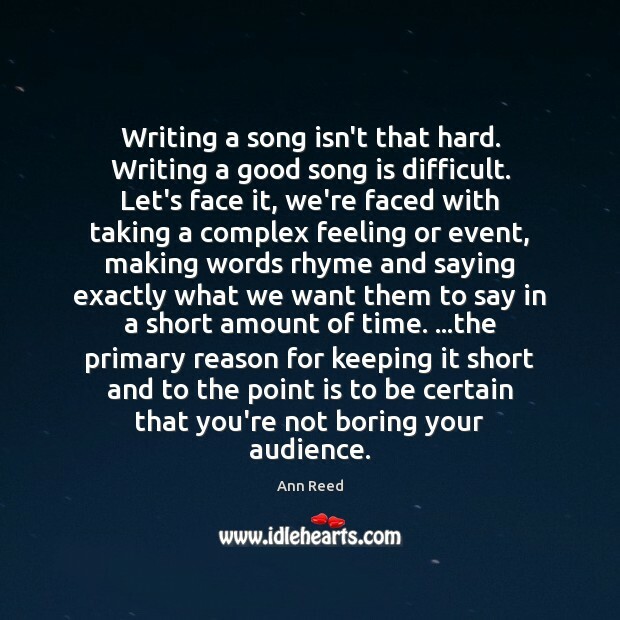 Writing a good song is difficult. Let's face it, we're faced with taking a complex feeling or event, making words rhyme and saying exactly what we want them to say in a short amount of time. ...the primary reason for keeping it short and to the point is to be certain that you're not boring your audience. 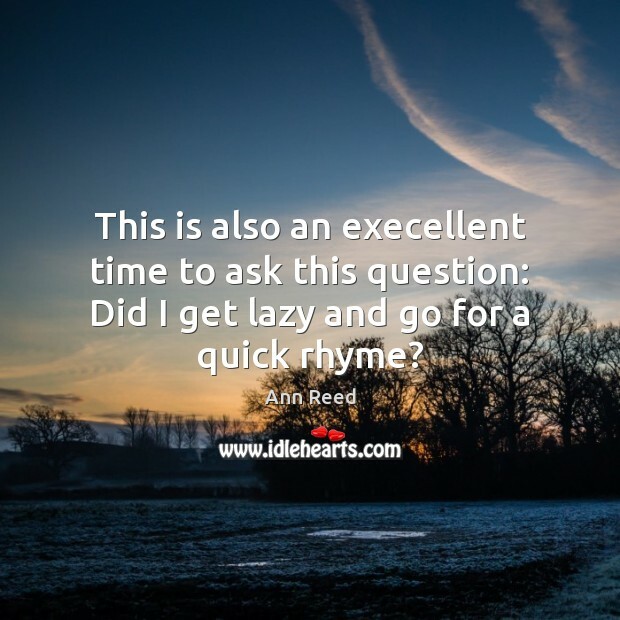 This is also an execellent time to ask this question: Did I get lazy and go for a quick rhyme? Whatever you do in this life, take time to sit quietly and let the world tell you what it needs from you. 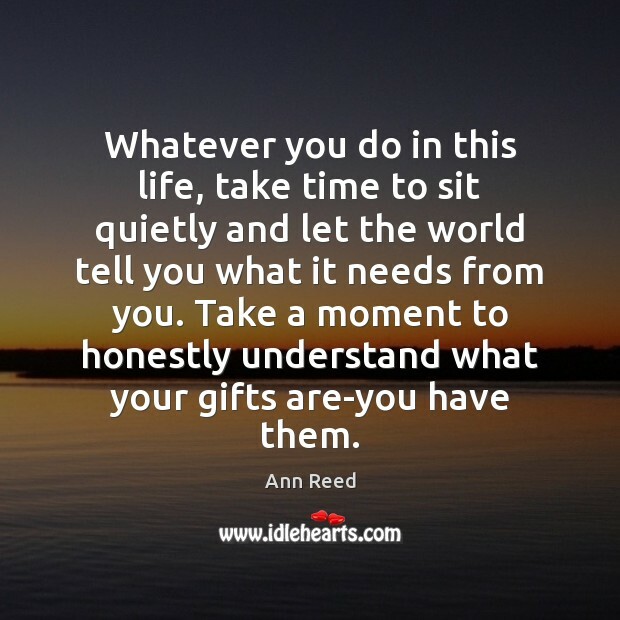 Take a moment to honestly understand what your gifts are-you have them.